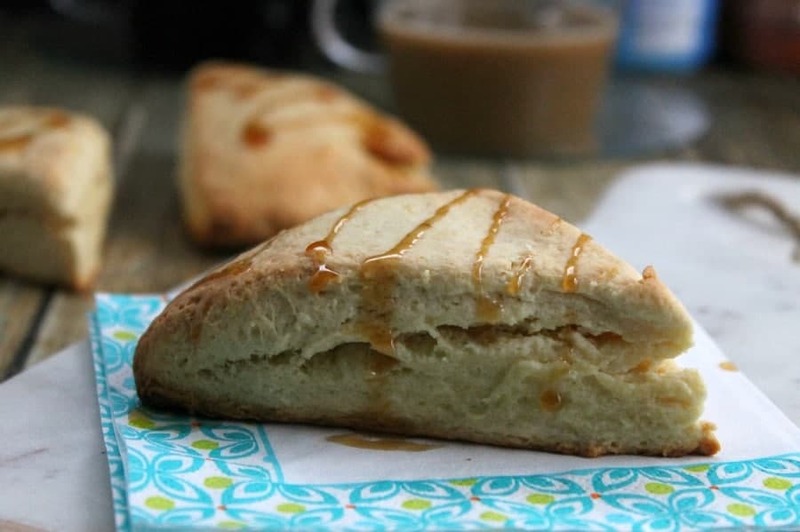 Start the day off with these Vanilla Caramel Scones and a cup of joe! My day started off really good this morning. Want to know why? Maybe you can guess? These scones did it! By now you guys know I am not a big breakfast eater but when it comes to breads and pastries I am all in. 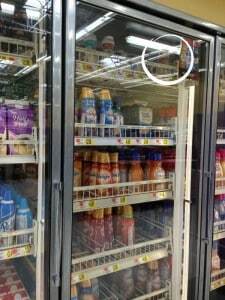 A few weeks back I was visiting my parents in NC and ran into Walmart to grab some items and I saw these new International Delight Simply Pure Coffee Creamers. I couldn’t wait to get home and try them in my late afternoon coffee, I did not want to wait till the morning! 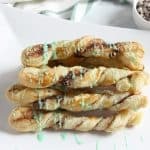 After trying them I thought how it would be lovely to add them to a scone, so I cooked some up and wow were they delicious! When baking I added both the caramel creamer and the vanilla creamer to the scone mix but you could just add one flavor if you’d prefer. These Vanilla Caramel Scones are made with basic everyday ingredients that you probably have right at home. 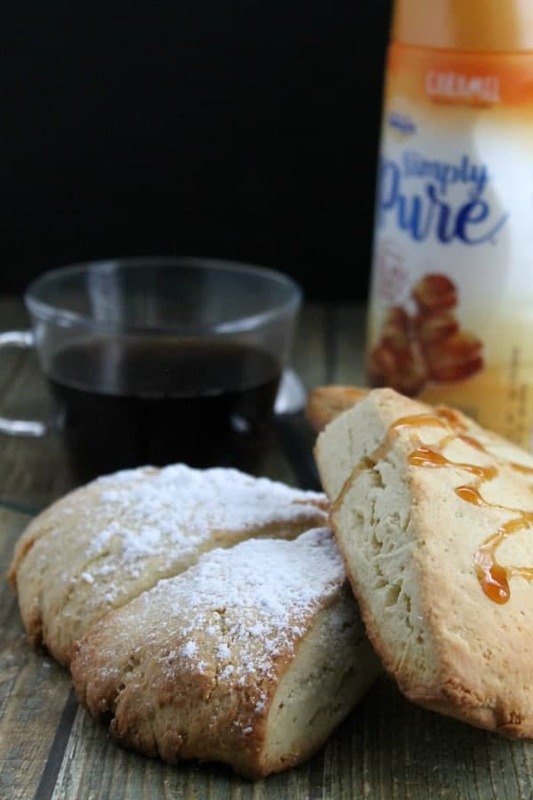 Adding the International Delight Simply Pure that is made with real milk, cream and sugar kicks these delightful scones up a notch to pair with the perfect cup of coffee! In mixer combine together flour, baking powder and butter until mixture is crumbly. Slowly add in vanilla and caramel creamer. Whisk together eggs and sugar. Add to mixer. Dump mixture out onto parchment paper. Cut into 8 equal pieces. Bake for 20-25 minutes or until scones are golden brown and toothpick inserted in middle comes out clean. If dough is sticky add a tablespoon of flour until you have a smooth dough. If dough is too dry add a teaspoon of creamer until dough comes together. 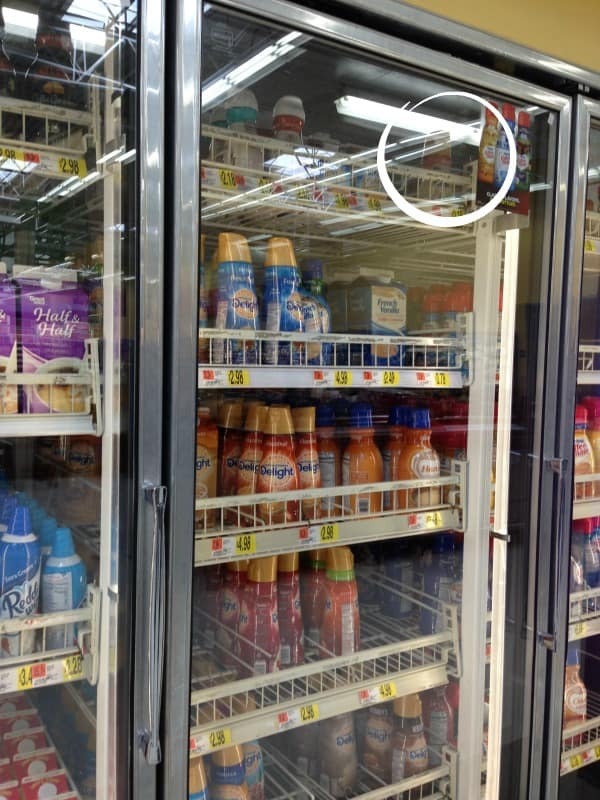 Want to find these creamer near you? You can check here! These are absolutely fantastic! I wish I had one for breakfast. Try it! 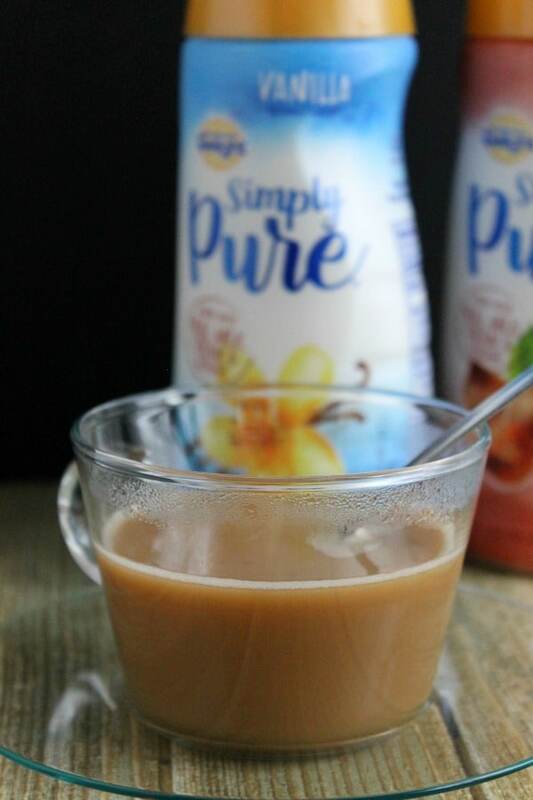 These Simply Pure are amazing! How did you know scones were my most favorite! These look and sound just delicious. Love their uniqueness. 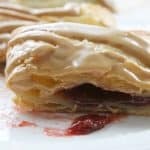 I HAVE to find these creamers….and then I have to make these scones! 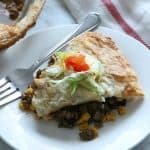 Cathy Trochelman recently posted…30 Spring Recipes! Who wouldn’t want to start their day with one of these amazing scones? I’m all over anything caramel! Vanilla and caramel are always a winning combination and these scones look great! Kimberly @ The Daring Gourmet recently posted…Paella Valenciana + a Giveaway! Oh yes oh baby. 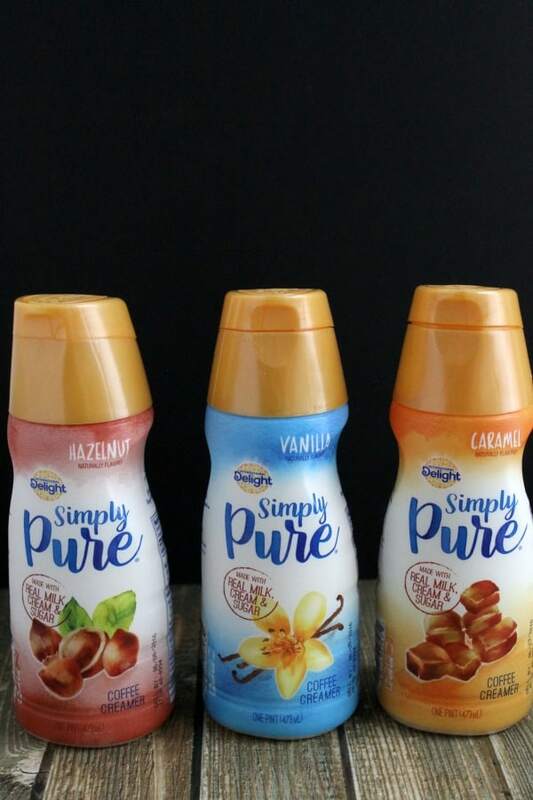 vanilla caramel = my perfect flavor combo. Nancy, your recipes are always so great, and of course you have definitely out done yourself again with these scones! Such a great blog! These look and sound so good! I love caramel, what a great idea!! Can’t go wrong with this combo of flavors! Would love to start my day with these! 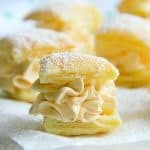 These scones look so perfect, and I love the sound of those coffee creamers! I need to try those! 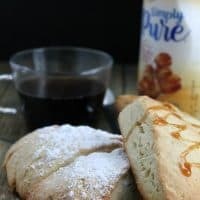 A scone with vanilla creamer and a mug of hot coffee…nothing could be better for leisurely breakfast in a sunny fall morning! I love scones and these would be perfect with my morning coffee! !